This week marks the 30th anniversary of the murder of Dian Fossey, whose groundbreaking research and anti-poaching initiatives helped bring Mountain Gorillas back from the brink of extinction. Along with Jane Goodall and Biruté Galdikas, Fossey was one of three iconic primatologists led by legendary archaeologist/paleontologist Louis Leakey. Known as the Trimates or “Leakey’s Angels,” these women made huge strides in field research of primates in their natural habitats, which Leakey believed was as crucial as archaeology to unraveling the mysteries of human evolution. And they did it in an era when females in scientific research were considered highly controversial. 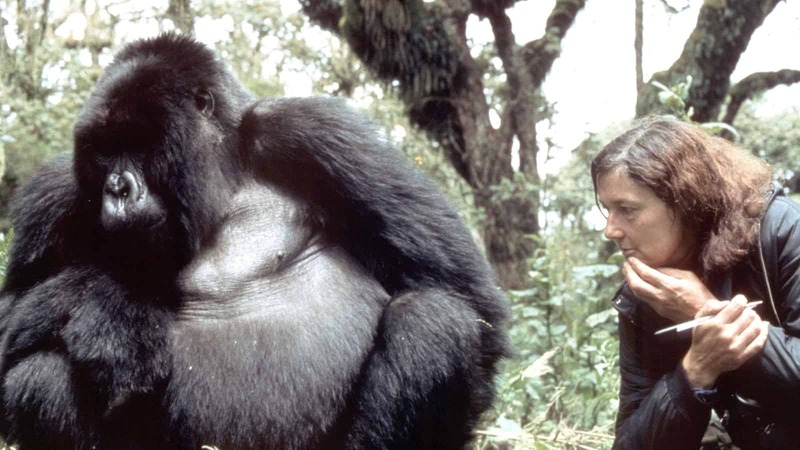 A 1970 National Geographic cover story and the 1988 biopic Gorillas In The Mist made Fossey famous, and her work in Rwanda influenced nearly every aspect of gorilla conservation today. Unfortunately, her interactions with locals were not so productive. 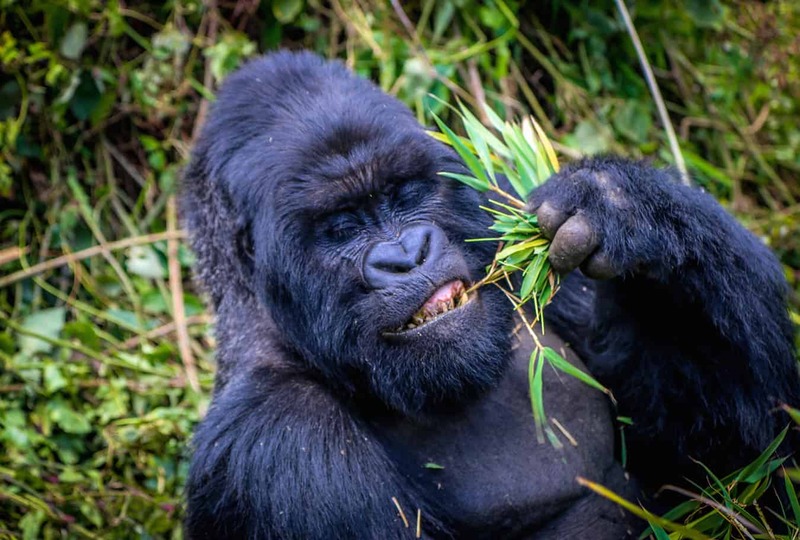 Her aggressive tactics to protect the gorillas made many enemies among government officials and local indigenous peoples, many of whom poached animals in the forests the gorillas inhabited in order to feed their families. On December 26, 1985, Fossey was tragically killed in her sleep. The mystery of her murder has never been solved, and her marked grave at the remote Karisoke research camp has long since fallen into ruin. 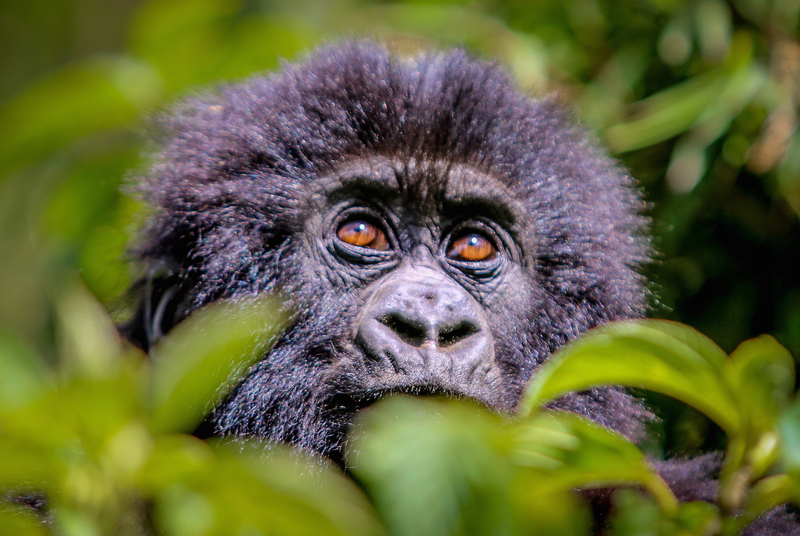 But the non-profit Dian Fossey Gorilla Fund International continues her work, helping Rwanda’s Mountain Gorilla population grow from 254 individuals in 1981 to around 500 today (more than half the total remaining population of around 900). 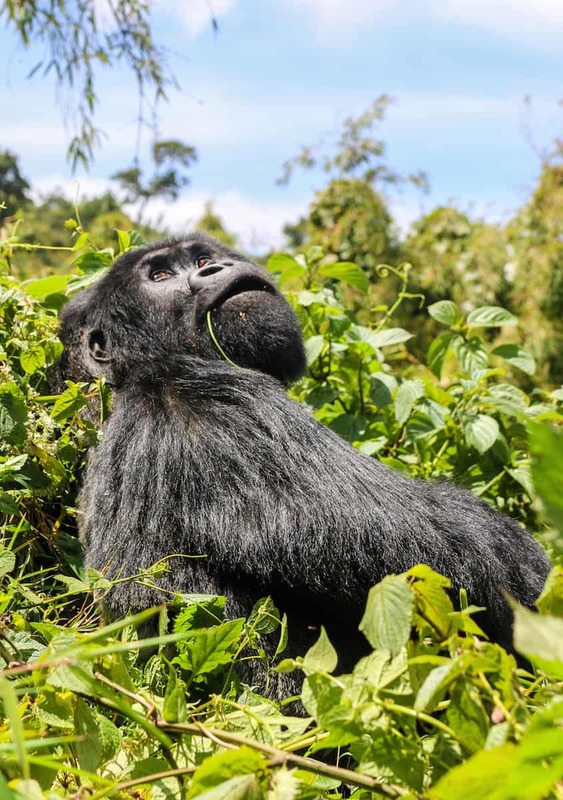 After our incredible experience trekking to see Mountain Gorillas in Rwanda a few months ago, we interviewed DFGFI CEO/President Tara Stoinski. A leader in the world of primate conservation (including serving on the executive committee of the International Union for the Conservation of Nature’s Section on Great Apes and as a conservation advisor for the Association of Zoos and Aquariums’ Gorilla Species Survival Plan), Stoinski spoke with us about Dian Fossey’s legacy and the vital work her organization is doing for gorilla conservation today. What does Dian Fossey’s legacy mean to you personally? I grew up with National Geographic, seeing these incredible pioneering female scientists working in the field. I didn’t think that could be me, but I wanted to work with animals. I thought I was going to be a veterinarian, but I had Jane Goodall and Dian Fossey in the back of my mind. 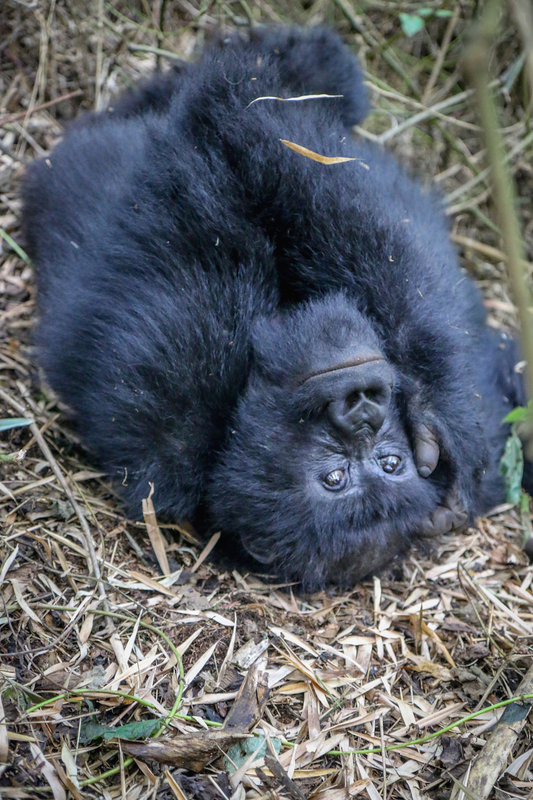 To be working for Dian Fossey’s organization 30 years later– an organization that has transformed the survival of a species which was on the brink of extinction– to me, it’s a dream come true. 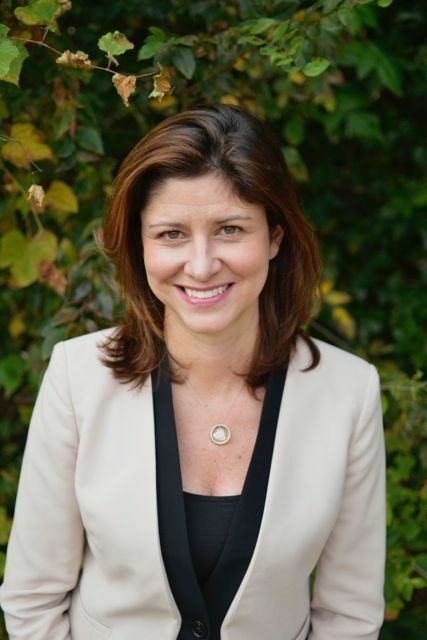 I could never envision as a 10-year-old girl that I’d be leading this organization that this woman brought to fruition. 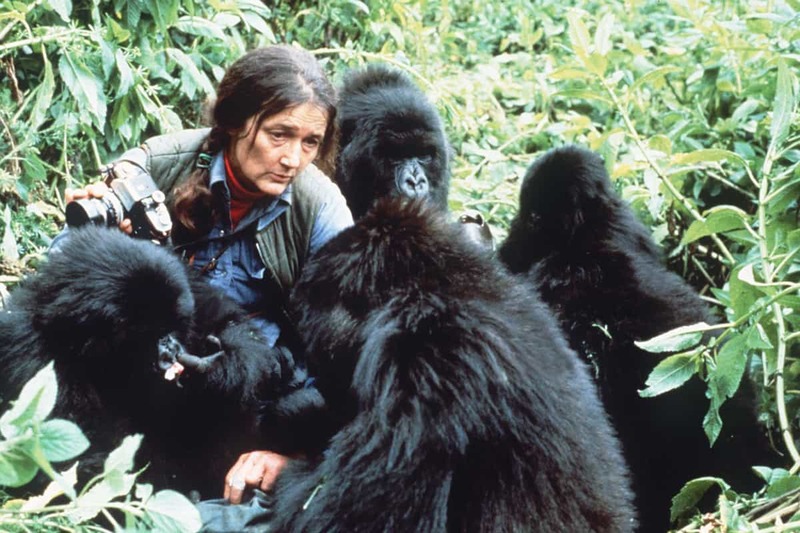 Dian Fossey worked under incredibly challenging times and built a premiere conservation organization that is making a big difference on the ground. For me to continue her legacy and make sure that Mountain Gorillas and other types of gorillas can continue to thrive is a huge source of pride. Dian Fossey was such a controversial, polarizing figure. What do you think conservationists learned from her victories with gorilla conservation, and her mistakes in dealing with Rwanda’s local community? Nowadays we realize that the Gorillas and the human population in Rwanda are inextricably linked. It is one environment, and they share it. So how do we make sure they’re integrated in our plan for conservation so that they are eventually leading the conservation efforts? In terms of Dian Fossey’s victories, the model she set up of an intensive boots-on-the-ground presence day after day is responsible for Mountain Gorillas still being there today. But I do think that the way she approached local communities was really challenging and that couldn’t happen today. She would probably hate the abundant tourism in Volcanoes National Park (a.k.a. Park National des Volcans) today. 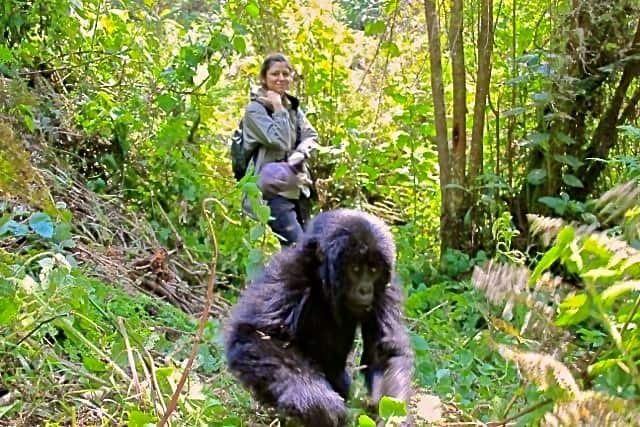 Is it an interesting dichotomy that she protected Mountain Gorillas, but her work has created something she wouldn’t want to be a part of if she was still alive? I think about that a lot! I think she’d be happy that the gorilla population has doubled. I think she would be sad about how much they’ve been monetized, but that is the only reason they are still there. When we look at what’s happening to wild populations of apes across the planet, they’re almost universally in rapid decline. With the Mountain Gorillas, we do have a successful model, and I think it’s in part because they create financial stability for their country. So yes, it’s a double-edged sword. That’s why our role is so critical: We need to be on the ground doing the research that’s going to help inform how Mountain Gorillas can be a source of national pride and revenue in a way that is not going to ultimately lead to their demise. Can you talk about some of Dian’s key discoveries as they relate to Mountain Gorilla conservation in Volcanoes National Park today? When Dian came, the gorilla population density was very low because of poaching. Dian started doing anti-poaching patrols and we saw this remarkable period of stability where the gorilla population was able to grow considerably– 4% a year– which, from a scientific perspective, is a lot. Now, 30 years later, the population has grown so much that we’re seeing a whole different set of dynamics. There is only so much space in that habitat. [Gorilla groups] are starting to bump into each a lot more. But with these long-lived, slow-to-reproduce species, you need huge chunks of data to be able to see the trends of the population over time. One of the big discoveries Dian made was the role of infanticide, where males kill the offspring of other individuals. In Dian’s time, about 37% of infants were dying from infanticide, but that was when there was a lot of poaching and a lot of males were being killed. When a male is killed in a gorilla group, the group disbands unless there is another male to take over, and any infant becomes a target. During that period of stability, there was almost no infanticide. Now that the population’s grown, it’s increasing again. 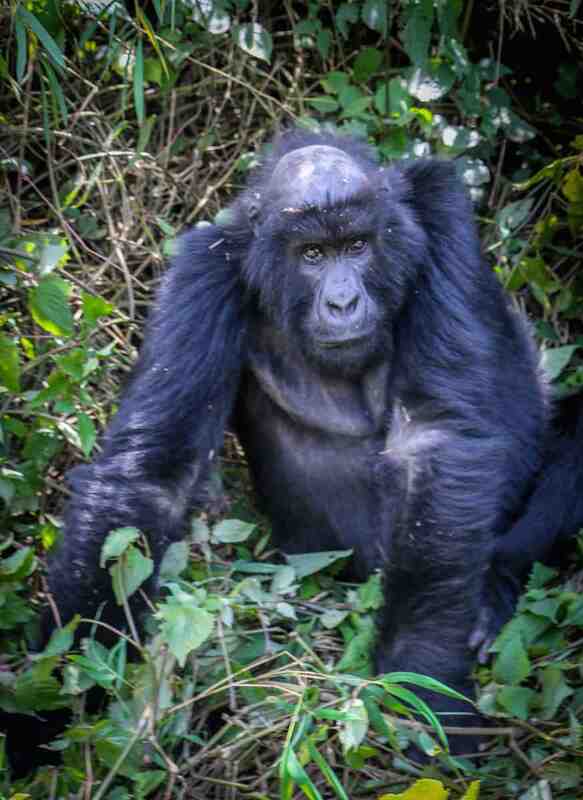 We now have groups to up to 65 gorillas, with 10 males in a group, which was unheard of in Dian’s time. It shows us how flexible they are, which is interesting, but it also shows us that we still have a lot to learn. 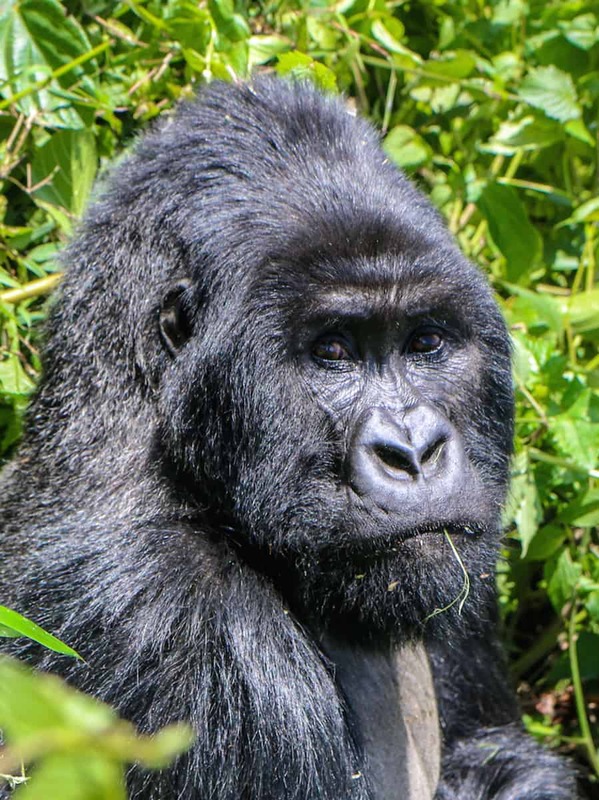 Day-to-day, what does Dian Fossey Gorilla Fund International do on the ground in Rwanda to ensure sustainable gorilla conservation? Part of Dian’s legacy is that we monitor 115 gorillas living in 9-11 groups every day. That’s roughly half of Rwanda’s gorilla population. Each group has a dedicated group of trackers who go and make sure everyone is there. If someone’s not there, we send out a search party. We check every gorilla daily to see if anyone is sneezing, coughing, or has a snare, in which case we liaison with Gorilla Doctors. By being with the gorillas every day, we provide them the physical protection of our presence, recording all of this data we’ve been collecting for the last 50 years. On average, we have a staff of 75 people who spend 80,000-100,000 person hours a year in that forest. What’s amazing is that all mountain gorillas are “protected” in theory. But there’s a subset that gets intense protection, where every day someone is there protecting them and seeing if anyone is ill or injured. 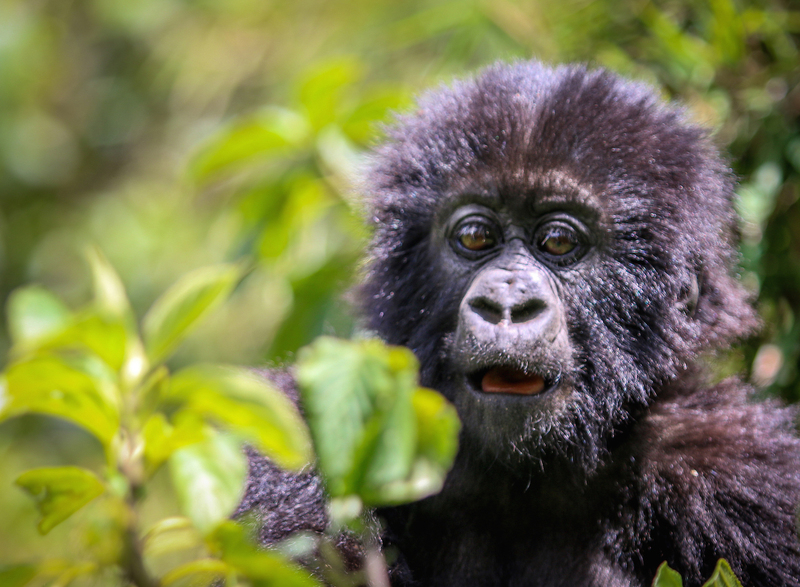 We looked at how have those two populations faired: The gorillas with the extra protection were increasing by 4% a year, but the other gorilla population was declining. So the idea that we can have a national park and, as long as those animals are protected, it’s going to be fine? That’s not the case. Would Dian be unhappy about this? I think she would. But I’d hope the science would convince her that this level of invasiveness with the gorillas is really needed. Having people there every day– the boots on the ground– has been critical to gorilla conservation. 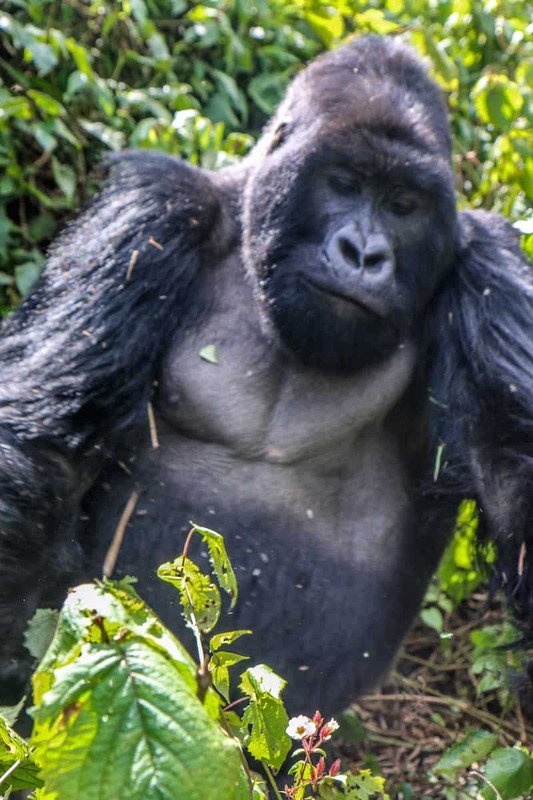 What are the biggest threats to the Mountain Gorillas today? Disease is a big threat. If a tourist gets off a plane, doesn’t know they’re sick and goes on a mountain gorilla tour, they could be exposed to a respiratory virus. [Illness spread by the] local population is a concern as well. Again, that’s why it’s important for someone to be there monitoring gorillas every day. Poaching is still a threat, even though it’s not for the gorillas themselves. They still get caught in snares, and snaring incidents are so stressful. We had an incident in 2013, where a gorilla group went outside the area we monitor regularly and two infants got caught in snares. The dominant male was so upset about this that he wouldn’t let our trackers back into the group and a veterinary intervention couldn’t be done. Normally, when there’s a snare, we can get in and get it removed but in this case it wasn’t possible. So there are still these challenging situations where the gorillas are inadvertently threatened by hunting for other animals. And then there’s the amount of unrest in the region and the human population density. Even though it’s illegal to go into the Volcanoes National Park forest, people still go in for water, wood and beehives. Five or six years ago, smoke from beekeepers caused a huge wildfire in part of the park. 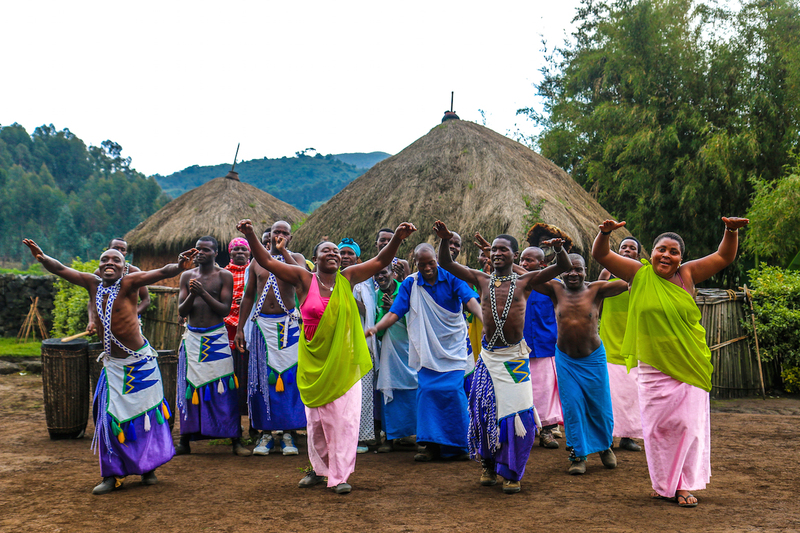 How do you think initiatives such as Edwin Sabuhoro’s Iby’lwacu Cultural Village (which provides employment opportunities for 1,000+ former poachers and their families) are changing the face of Mountain Gorilla conservation? In Rwanda, I think Edwin’s level of involvement with the local community is critical in engaging and educating ex-poachers. 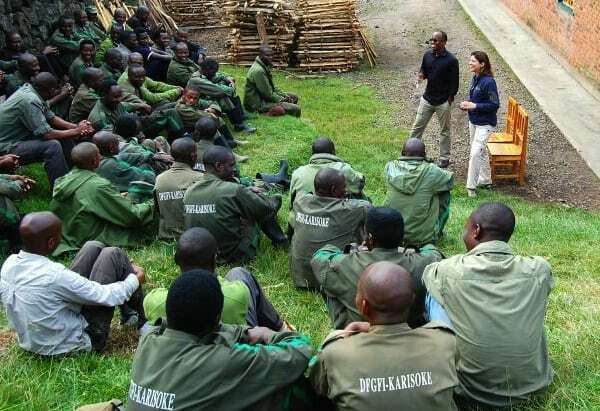 The Rwandan government put together a suspected poacher education strategy that we helped to fund. They brought them in and educated them about why we can’t be doing this. As a result of that, we saw a 70% decline in snares. There are probably 300,000 people that live on the edge of Volcanoes National Park. Of that, there are relatively few people that are actively poaching. If you can key in and talk to those people and provide them with other mechanisms to make a living, you can hopefully have a big impact on poaching in the forest. This is the 30th anniversary of Dian Fossey’s death. What would you say are the most important aspects of her legacy today? The direct legacy from Dian Fossey is gorilla conservation and the science behind it. She originally went to Rwanda to do research under the direction of Louis Leakey, and her mandate was to look at our closest living relatives. When she got there, she quickly saw how bad things were on the ground, so she had to mobilize the protection strategy. Those were her two areas, and we still do that. Since Dian’s death, we’ve really improved community engagement, educating children about conservation by taking them into the forest and educating community leaders through conservation movies. We also do a lot of work with health clinics, trying to minimize the risk of disease transmission. Another area where we work is training the next generation of conservationists. We’re working with universities to provide students hands-on opportunities to go into the field, learn how to count gorillas, sample vegetation, mist-net birds and identify them. We host 200 students every year, and we’re seeing them going into jobs in the Rwandan government or other NGOs, or getting advanced degrees. There’s not much at the original Karisoke site to honor Dian’s work in Rwanda. Any chance of building an attraction there to ease some of the tourism pressure on the gorillas? The original grave is managed by the Rwandan government. With the 50th anniversary coming up, there may be an opportunity there. There’s definitely going to be a cap on how much gorilla tourism this environment can hold. When I started going to Volcanoes National Park, the price [for gorilla trekking] was $250. Now it’s $750. I’d love to see it be even higher. As much as I’d love for everyone to meet the gorillas, it’s too fragile of a population. It would be great to have fewer people going in, but contributing the same or more money.